Certain people in my household — and I’m not naming names — have been waging a stealth and coordinated campaign to get a dog. One of them might drop subtle hints when we pass a particularly cute poodle in the park, stopping to pet it to demonstrate just how mature and capable she would be if such a creature were to join our family. I may have never lived with a dog, but I know the truth. A dog, as small as he or she might be, would rule our home. Some canine enthusiasts might deny this, telling you that a dog makes for an easy pet. Sure, you don’t have to clean a fish tank, scrubbing algae from the glass and siphoning polluted pebbles. But I’m thinking about my home, not just the mundane grind of pet care. Prod a little deeper, and a fuller picture emerges, one where the four-legged family member calls the decorating shots. The décor is just the start. Smuggle a mutt into a no-pet building, and after a few months spent hiding from the super, you may just pack up and move to a place with a pet concierge. 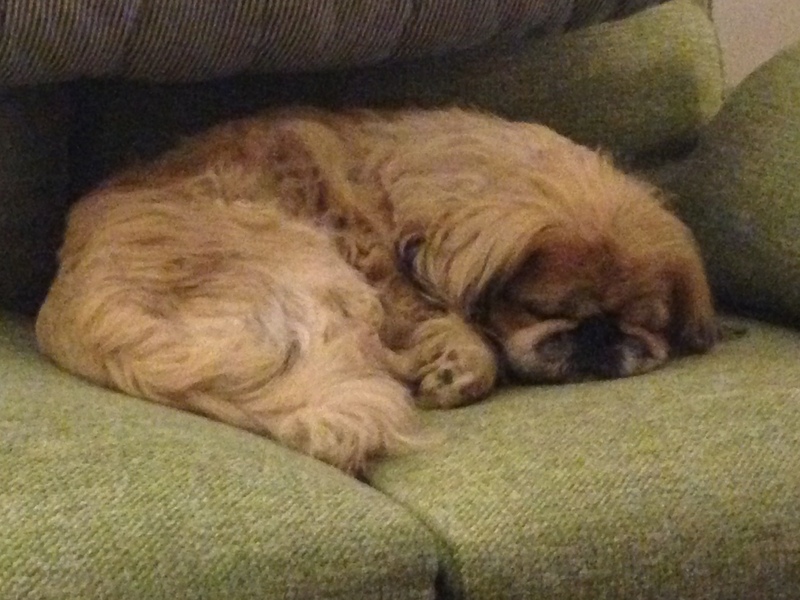 There’s no avoiding it: If you bring a dog into your home, it will change how you live in it. This is especially true if you live in the city, where space is tight and dogs are everywhere. Those accommodations can be substantial. Soon after Kelly Kreth brought a Dachshund home months ago, she realized the puppy suffered from separation anxiety and could not be left alone or crated. So she did what any devoted pet owner would do and gave Biggie Smalls her home office, installing an eight-foot-long gate at the entrance. Ms. Kreth, 48, a publicist, works from home, and now considers the sofa her office. Ms. Kreth installed a Nest camera to monitor Biggie on the rare occasions when she leaves without her. The building’s maintenance manager also helps, taking the dog down to the basement when she gets lonely. Last May, he took Biggie home with him to New Jersey when Ms. Kreth went away for a week. Of course, there are plenty of places to live where dogs are welcome. But even in a dog-friendly town, you might still have to choose between your beloved apartment and your pup. Mr. Rosales and Mr. Litton, 32, a lawyer, have fully embraced living in a pet-centric community where neighbors are more likely to know your dog’s name than yours. “Not only do we not have any regrets, but we would love a second dog,” Mr. Rosales said. A new pup, though, would exceed the building’s pet limit, meaning the couple would have to move again. But what’s the price of a moving van if a puppy is involved? Of course, not everyone’s life has to be upended by a dog adoption. If my family’s puppy campaign succeeds, we wouldn’t have to move and I doubt we’d have to refurnish, but you never know. 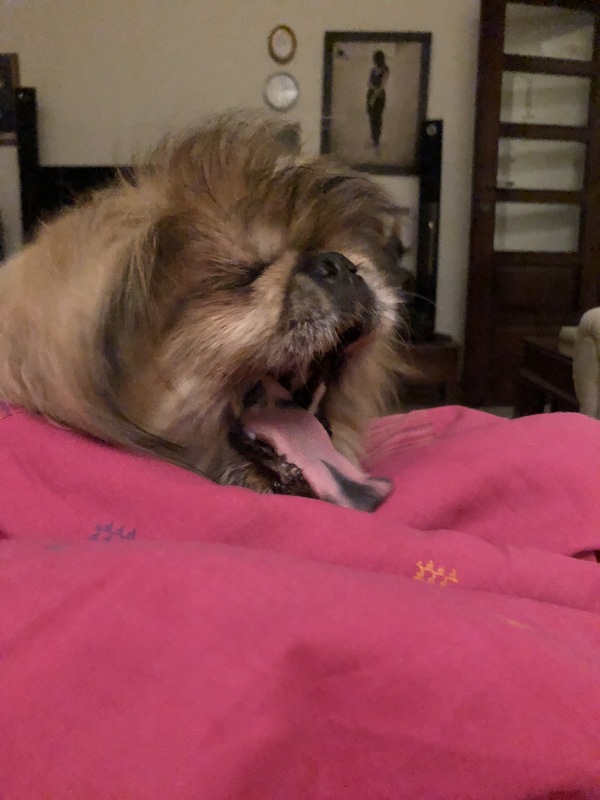 I know myself well enough to know that if we were to bring home a furry family member, I’d be all in, and so would likely end up like Moom Luu and Kate Anthony, a married couple who live in a Ridgewood, Queens two-bedroom with their 11-year-old Pekingese. McGee “is the master of our home and we are merely his staff,” Ms. Luu said. Three months ago, they gave their $5,000 Mitchell Gold + Bob Williams leather sofa to the super because McGee, who has back problems, could no longer safely jump up onto it. The new sofa, which is lower to the ground and made of a rough fabric, is less comfortable for Ms. Anthony, who is 51 and 5-foot-9. But she is willing to tolerate the awkward seating arrangement, which is not surprising considering the couple’s bed has a ramp and is surrounded by a wooden gate to make life easier for McGee. I know something we could do: not get a dog. As someone who has already surrendered much of my home and life to people much smaller than me, I am not ready to relinquish any more space to another pint-size creature, at least not yet.